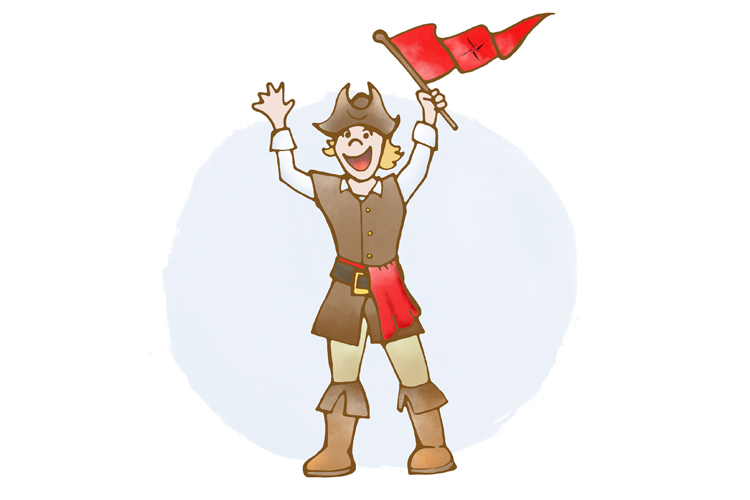 Why do we love pirates? The adventure? The funny talk? The wild costuming? Well, here are some stories that look at pirates with a little sparkle. Georgia Bean, the kindly rat, is looking for something for the mice to do. The other animals suggest putting on a play and all offer to help in the production. They agree on a pirate theme, but everyone is surprised when one of the mice takes her part very very seriously. When Daddy suggests they paddle to "Luck Island" which was recently made into a public park, brother and sister are at once excited and filled with questions: "Does anyone live there?" "What is on the island?" "Will there be pirate treasure?" They find out that the island does indeed have treasure, but not at all what they were expecting. When Levi Boyd learns who his father is, he is flooded with many emotions. He is shocked because he is learning this from his friends rather than his mother. He is angry because his mother never told him the whole truth. And he is ashamed because it turns out that his father — a man he never met — was the notorious pirate Blackbeard. Note: Though this is historical fiction and the characters have been developed to accommodate a story, their attributes and development may be useful as reference points and inspirations. Mack and his wife are looking for a house outside of the big city. They have a baby on the way, and they need just the right spot. They see many nice possibilities, but Mack refuses to be satisfied; that is until they see a simple house with an impressive tree in the backyard: a Black Willow tree. “We’ll take it,” says Mack. What is it about this tree? Mack tells his wife that it reminds him of his long lost father; but what he doesn’t tell her is that he believes his father was a pirate!